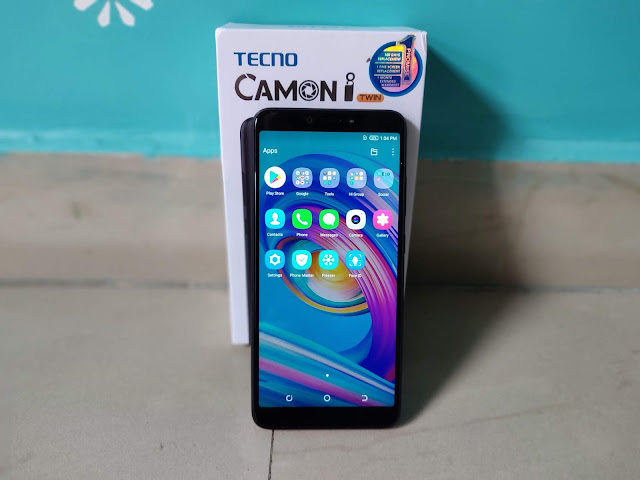 Tecno has launched the “Camon i TWIN” in the Indian market. The device is Mid-Budget device with dual camera and Bokeh Mode. The device offers 32GB ROM, 3GB RAM, dedicated microSD slot for people who need extra storage space. The device is powered on with Snapdragon 425 Quad-Core chipsets for multitasking. USP of the device is the dual rear camera with the capability of the Bokeh Mode. Bokeh mode is in demand and the company had leveraged that in the device. As we were expecting the device to be priced below 15K INR, the device is going to be priced at 11499/- INR. 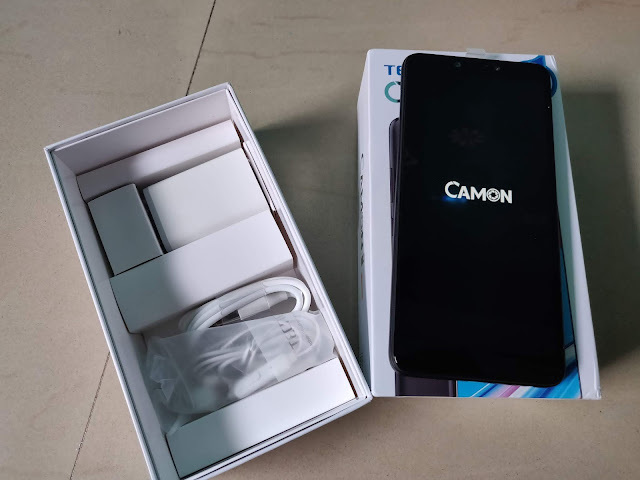 Here is the unboxing and First impression of the device. 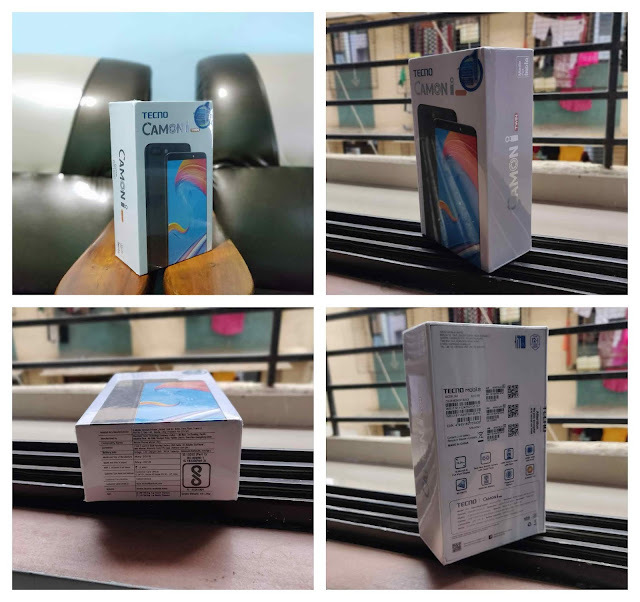 Before I start talking about the Box of Tecno Camon i TWIN, I must say, company have done great improvement on the box of the device. 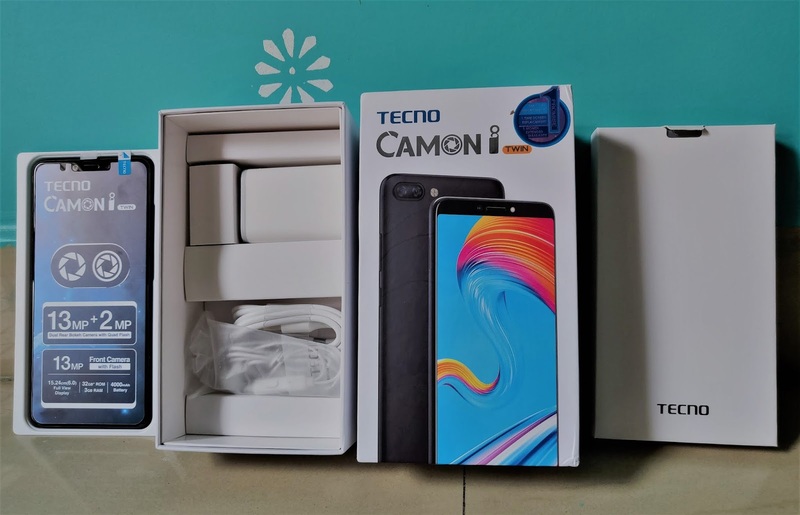 Coming to Tecno Camon i TWIN box, company has done a good job in that, White colored box is embodied with all the key features of the device. 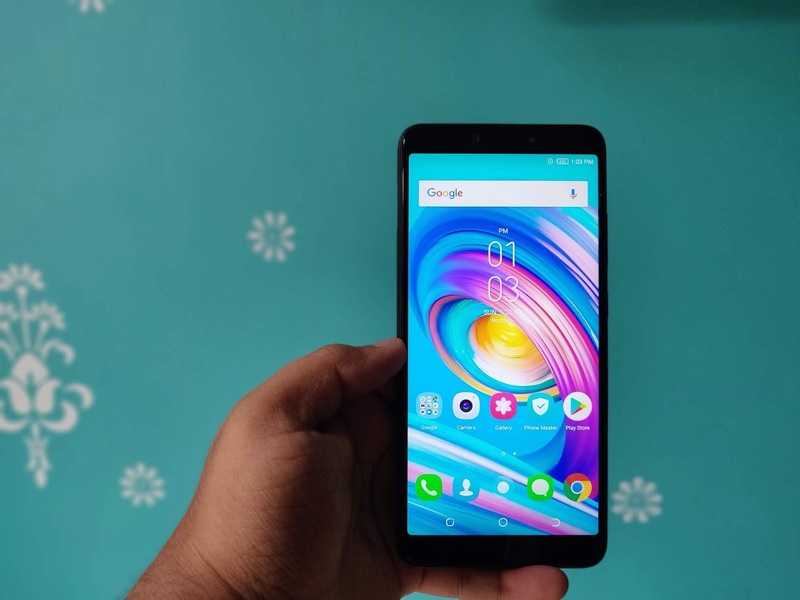 With the initial impression, phone looks premium and well built on the quality front. While holding the device in hand it feels a bit lighter as compared to other phones we have seen with 6” display and 4000 mAh battery. The device we have is the midnight black and the mate color gives premium look to the device. Although I felt the device is a bit bigger compared to other devices with 6 inches display and full view screen. The screen of the device looks good and color quality seems great, considering the resolution of 1440 x 720px, but it gives quite a space to the user for better viewing and less scrolling. Other than the regular stuff, device is equipped with the notification light and has good speaker quality (first impression). We have tested some calls on the device and in-call, volume of the speaker was satisfactory. Let’s move onto other areas on the device. As expected, the placement of the individual features is pretty much a textbook affair. The fingerprint is centered at the upper extremes on the back. As for the camera and LED flash, they call the top right corner home. On the right edge, you will find the SIM and SD card rack, volume and power buttons. Topside, you will find a well-positioned earpiece straddling the front camera and a flash to the other side and LED indicator resides there somewhere too but is only visible when you get a notification message. The bottom of the device houses the speaker, Micro-USB slot, microphone and 3.5 Audio jack. like we said, pretty much textbook. The device got the midnight black. The back of the device sports a gorgeous mate black finish. Marketing buzzwords aside, the Tecno Camon i TWIN gives off some serious premium vibes and yeah, it’s that good-looking. 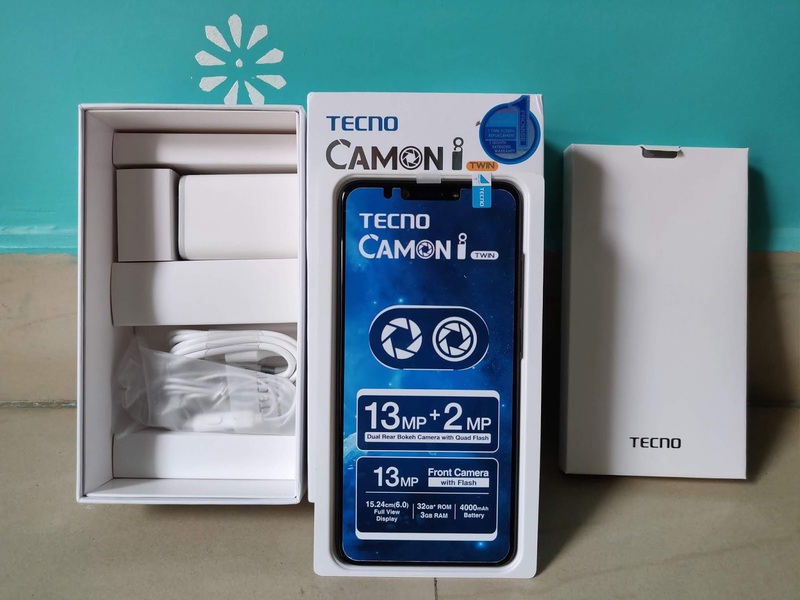 We will have a more in-depth look at all the Tecno Camon i TWIN has to offer in later posts. From the little we have seen; the front and dual rear cameras look promising and bokeh effect really looks promising. For this and more, stay tuned. Let’s leave you with the specifications of Tecno Camon i TWIN. Memory: 32GB ROM, 3GB RAM, dedicated microSD slot. Connectivity: Wi-Fi, hotspot, Bluetooth, OTG, GPS. 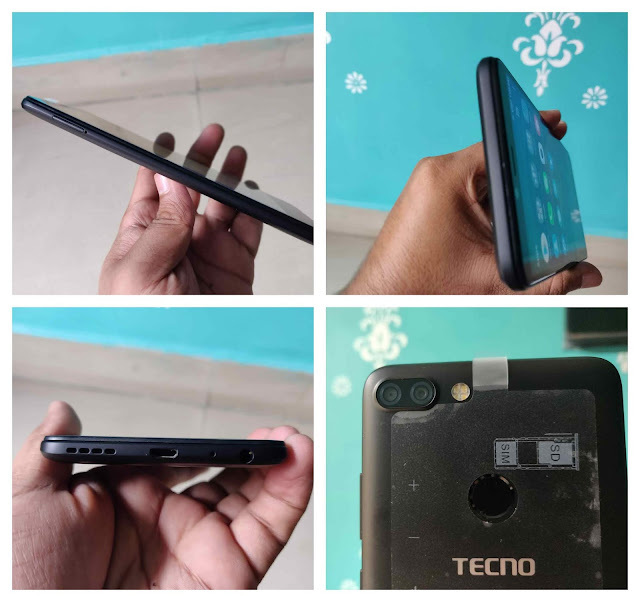 Tecno Camon i TWIN will be available for the price of INR 11,499/-, which we feel that it is a little bit on the higher side when compared to the other competitors. We will analyse the device in detail in the coming review and then will share the final thought for the value of Money. In the first look, device looks promising and can be good for people who are looking to buy the device in 10-15K range. Detailed review of the device will follow, so stay connected.